Gone to See Patagonia 2010/2011. Photography Workshop with Thom Hogan. Day 10: Perito Moreno Glacier. While listening to a safety talk before going on a hike on the glacier the glacier started calving. 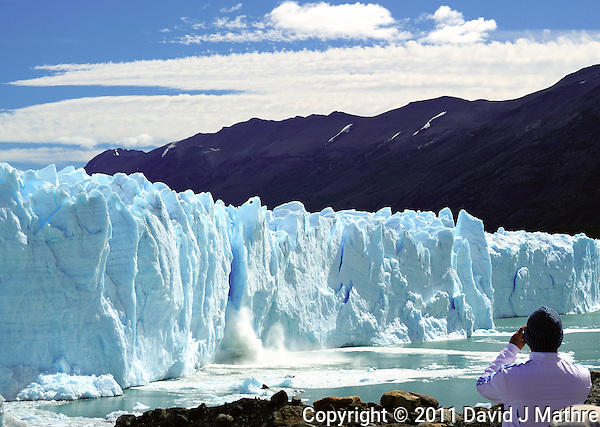 Perito Moreno Glacier, Los Glaciares National Park in Argentina.